This entry was posted in Food, Running, Training and tagged 10 mile, energy gel, food, jelly beans, nutrition, running by MedalSlut. Bookmark the permalink. Now on to the not so trivial stuff ;)…I tried the jelly beans while running, but the whole chewing and running thing is not for me. The same goes for the shot blocks, no matter what flavor. 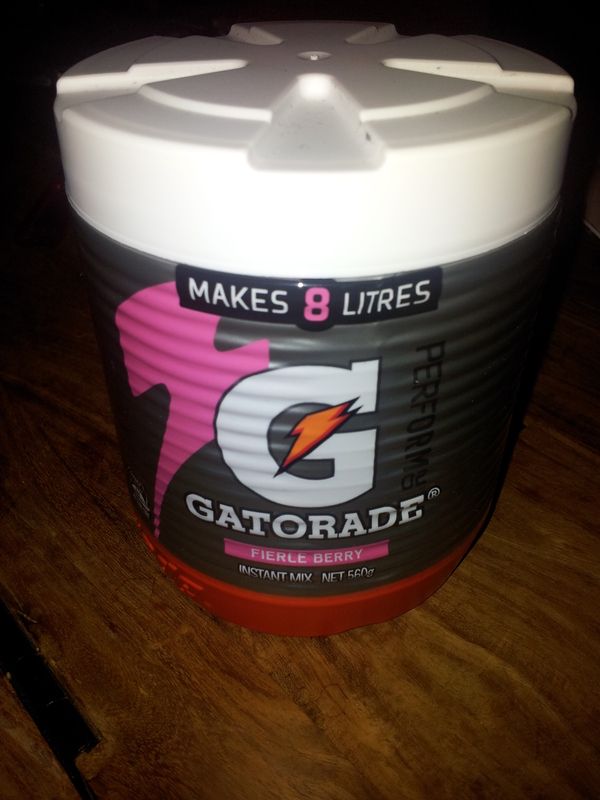 During a 10 mile run I usually just go with 1 energy gel and water. I found out that mixing the sports drink and the gel (I actually use PowerBar Energy – Vanilla and/or Raspberry I think http://www.powerbar.com/products/442/powerbar-energy-gel.aspx ) would cause my stomach to upset after mile about 13. It is also very easy to pin them to your running shorts (or whatever you are wearing) to where you can just tear them right off (and the top of the gel pack + safety pin USUALLY stay on your shorts) making it easy to squeeze it into your mouth and toss the empty gel pack (into a trash can, of course ;)). Good luck tomorrow! Can’t wait to hear out it went. 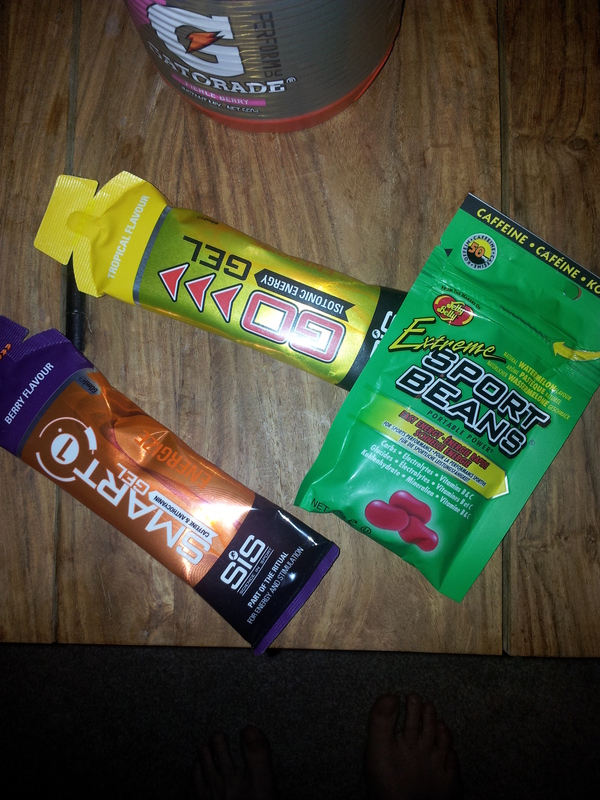 Energy gels have saved my running career. I have one before every run. Some are thicker than others, and I am starting to really like the thicker ones. The more caffeine the better! The very first time I tried one, it freaked me out. I also love love love ShotBloks. My local grocery store sells gels, and they had a huge display to clearance the Cliff brand ones out. I bought 24 @ $.50 each today! Jackpot! hit submit too soon! Gah! Good luck on your race! Good luck!! I use GU gels. I have tried a few others, but can’t stomach their taste or consistency (literally “stomach”). My favorite flavors are Strawberry/Banana and TriBerry. For a 10-miler I would probably have one. I’m doing a ten miler too today!! Good luck girl! Done! Good luck to you too, sure you’ll smash it!